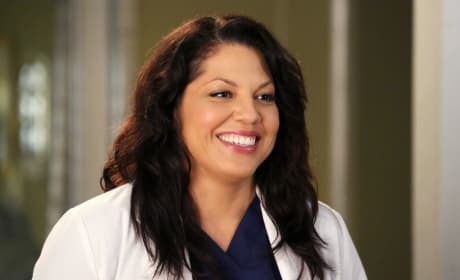 Similarly to previously mentioned characters, Callie also comes from a strictly Catholic Latina background. She has a more difficult coming out process as her father first disowns her after hearing the news, but eventually he learns that no amount of praying will pray the gay away. 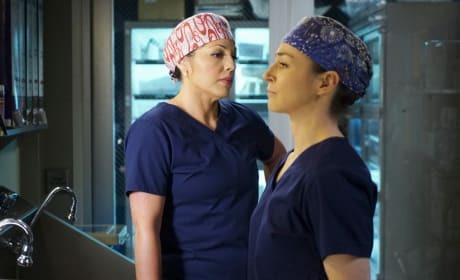 With the help of her girlfriend Arizona, she's able to truly embrace her sexuality and show us that being gay is not simply a choice. 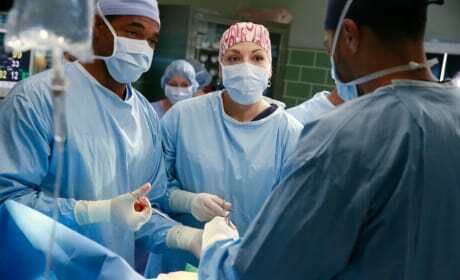 We're in the operating room here with Callie. It's a photo from the Grey's Anatomy 2015 winter premiere. Joey Lauren Adams is guest starring and doing battle against Bailey for the Chief of Surgery position! Do we think she'll win in her quest? 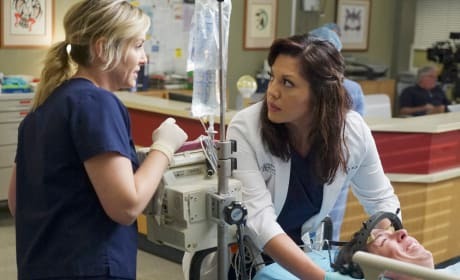 Callie and Arizona talk as they work together on Grey's Anatomy. 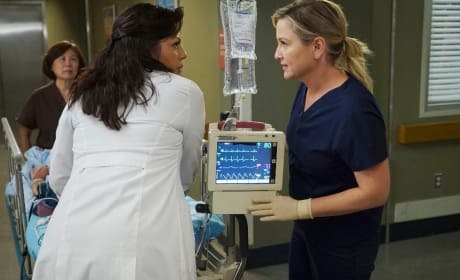 Arizona and Callie work together on Grey's Anatomy. Callie looks intense and seems to be thinking carefully. 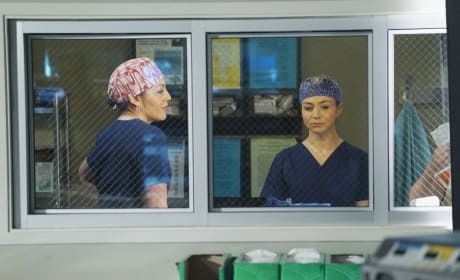 Stephanie arrives to the scrub room as Amelia and Callie talk. 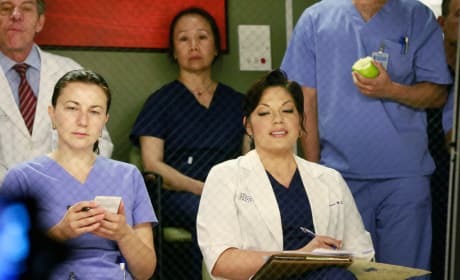 Callie and Amelia both look unhappy as they prepare for surgery. 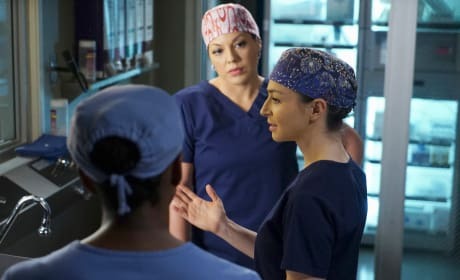 Callie and Amelia have a serious conversation on Grey's Anatomy. 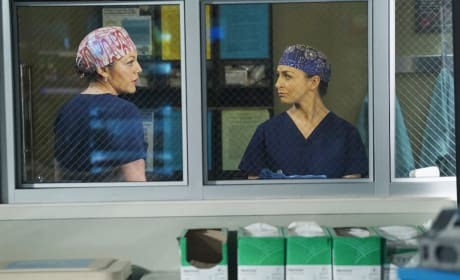 Callie and Amelia talk while preparing for surgery. 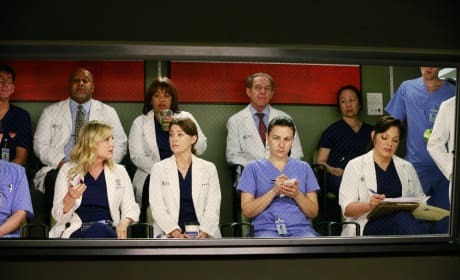 Callie takes notes as she watches from the gallery.